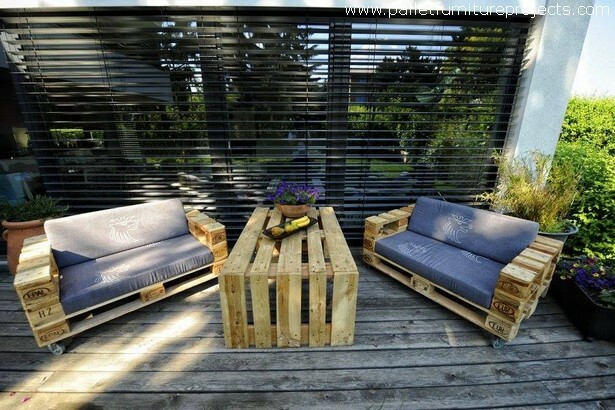 Though the wood pallet recycling ideas that we present here are raw and rustic most of the times. But some of them which we focus on become pretty stunning sometimes. 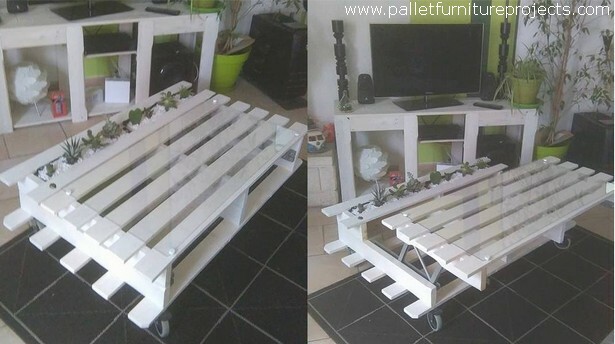 This is a common practice that we use both mixed kind of shipping pallets in the wood pallet recycling ideas, some of them are quite fresh and some are a bit broken, but still we manage to camouflage all the marks in such a smart way that they become pretty impressive over all. 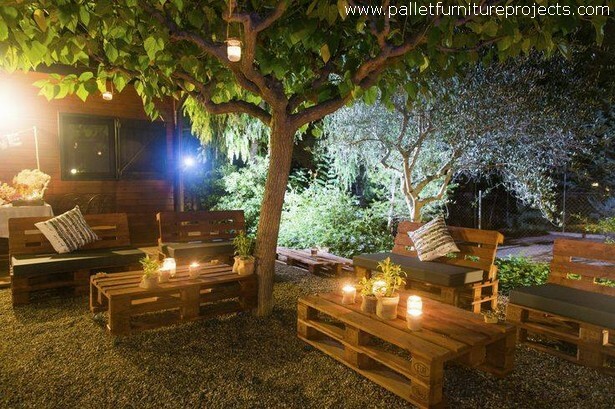 Here we bring you some of the wooden pallet stunning ideas which would just transform your lives, or atleast your life style. 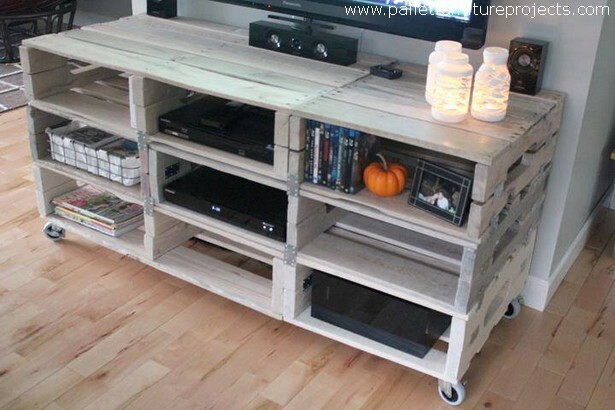 This is a fantastic pallet wooden recycled TV stand. It is equipped with a lot of little cabins separately, plus we also fixed metallic wheels on the base. So this is an ideal stand for taking care of your device and a number of accessories to be stuffed in. 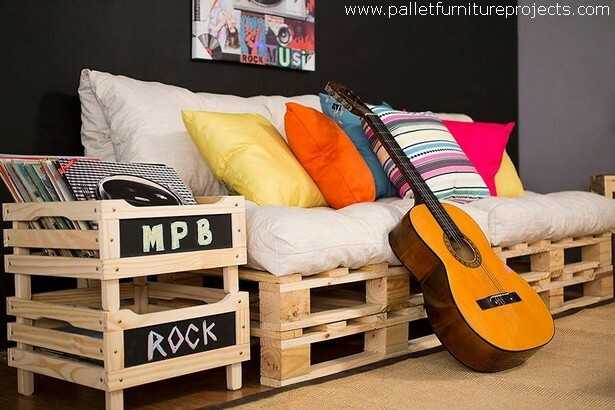 To recycled a wood pallet couch for your room or lounge is a real bliss as this saves a lot of bucks plus having complete control over the design we make something that is pretty close to our hearts. And this pallet couch says the entire story. To make your patio a better place, this is a always a great idea to equip your patio with some decent wooden pallet furniture items. No need to go for the expensive branded furniture articles, this would be a perfect substitute and above all you would design something pretty in accordance with the space that is available with you. 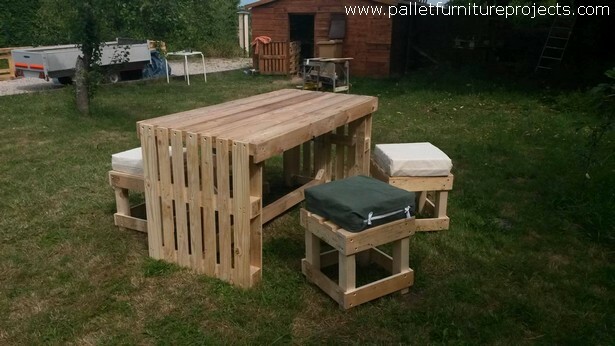 These are just some raw wood pallet creations, a couple of wood pallet benches along with a large pallet wood side table. They would just do a great job when placed outside in the garden or patio. 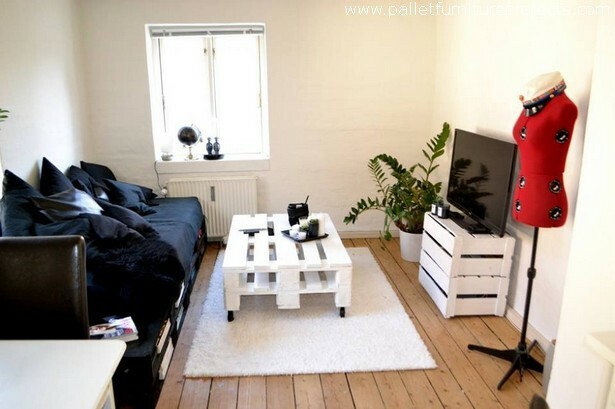 A portable wooden pallet coffee table is the need of every house hold. Even my wife is so much in love with the wooden coffee tables. She is like I need a decent wooden coffee table in each room of my house. I think this time I must count on this beautiful wood pallet coffee table. I don’t know why I have a strange instinct regarding these wooden pallet couches, they seem familiar to the robotic creations. But actually their luxurious ultra wide design offers a better and luxurious posture which won’t let you get tired very soon. Even the arm rests are also very supportive. 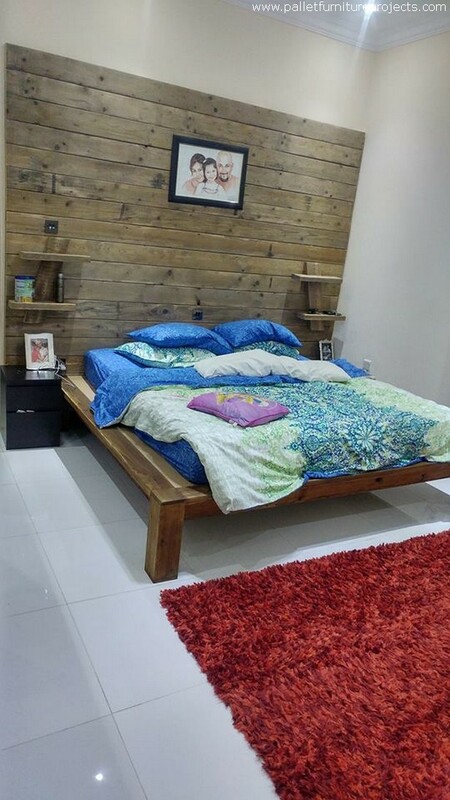 And this is like a wood pallet treat, I mean this is basically the wood pallet wall cladding, but this is made in such a way that this also look like the wooden headboard of the room bed plus a couple of wooden shelve are also attached here. 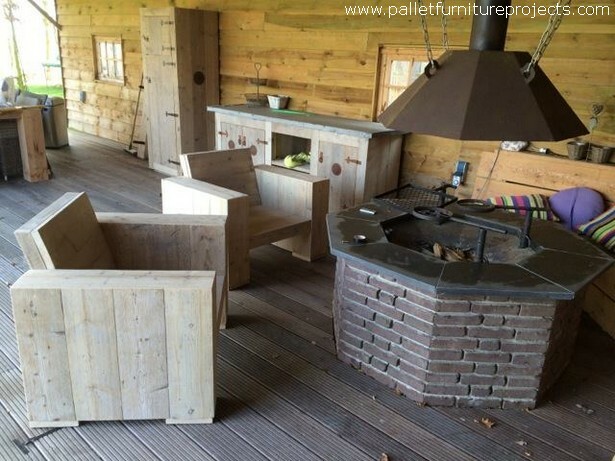 Even the modern day furnishing too can be supported by the wood pallet creations. This is totally upto you that how you really design the furniture items because the pallet wood is mere timber that is used as the basic material, rest depends on your creativity.